This award winning bookshop is located in a beautiul listed 18th century building. 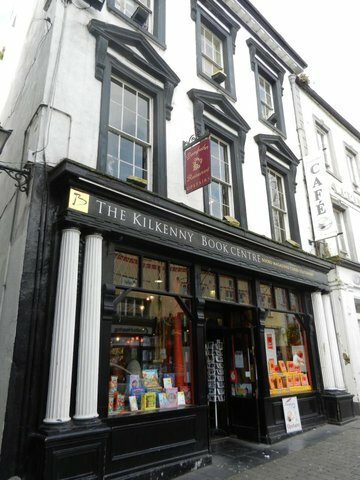 With a facade like that, the standard is set very high but the Book Centre Kilkenny more than rises to the challenge. It's a wonderful shop and any booklover would be happy to spend a couple of hours lazily browsing their way through its extensive selection of titles. When you're ready to rest your feet, upstairs there's a café where you can sit for a chat or browse through your recent purchases. Be sure to check out the Book Centre's sister stores in Wexford, Waterford, and Nass.